Was MySpace Music’s Best Social Media Platform? The dawn of social media was a more innocent time, when finding a new favorite band was as easy as stumbling into the MySpace rabbit hole and into wonderland. Myspace (stylized as myspace) is a social networking website offering an interactive, user-submitted network of friends, personal profiles, blogs, groups, photos, music, and videos. Myspace was the largest social networking site in the world, from 2005 to 2009. It is headquartered in Beverly Hills, California. Myspace was acquired by News Corporation in July 2005 for $580 million, and in June 2006 surpassed Google as the most visited website in the United States. In April 2008, Myspace was overtaken by Facebook in the number of unique worldwide visitors, and was surpassed in the number of unique U.S. visitors in May 2009, though Myspace generated $800 million in revenue during the 2008 fiscal year. Since then, the number of Myspace users has declined steadily in spite of several redesigns. As of January 2018, Myspace was ranked 4,153 by total Web traffic, and 1,657 in the United States. 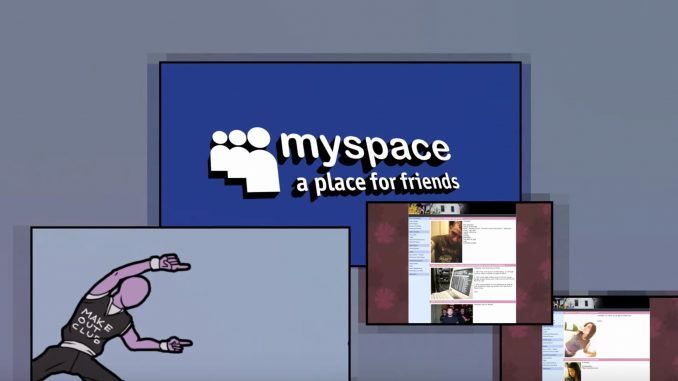 Myspace had a significant influence on pop culture and music and created a gaming platform that launched the successes of Zynga and RockYou, among others. Despite an overall decline, in 2015 Myspace still had 50.6 million unique monthly visitors and has a pool of nearly 1 billion active and inactive registered users.